The American Society of Interior Designers believes that design transforms lives. 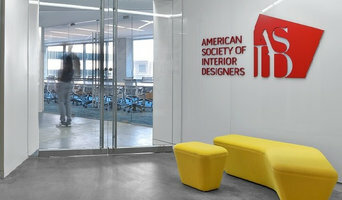 ASID serves the full range of the interior design profession and practice through the Society’s programs, networks, and advocacy. We thrive on the strength of cross-functional and interdisciplinary relationships among designers of all specialties, including workplace, healthcare, retail and hospitality, education, institutional, and residential. We lead interior designers in shared conversations around topics that matter: from evidenced-based and human-centric design to social responsibility, well-being, and sustainability. 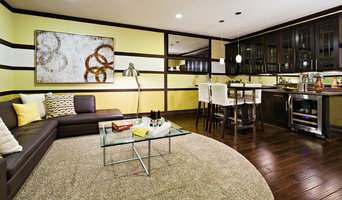 We showcase the impact of design on the human experience and the value interior designers provide. ASID was founded 40 years ago when two organizations became one, but its legacy dates back to the early 1930s. As we celebrate nearly 85 years of industry leadership, we are leading the future of interior design, continuing to integrate the advantages of local connections with national reach, of small firms with big, and of the places we live with the places we work, play, and heal. Learn more at asid.org. The American Institute of Building Design (AIBD), a nonprofit association of residential design professionals, believes in the consumer's right to chose who they would like to have design their home. We support that belief by providing resources to help the consumer make an educated decision and the professional perform at their peak. We invite you to be a part of our mission to enhance, develop and promote the value of the residential design professional. The MBIA is a not-for-profit trade organization representing the interests of over 1,300 member firms and more than 100,000 employees, including home builders, remodelers, developers and affiliate professional and service providers. in the Maryland Counties of Anne Arundel, Baltimore, Calvert, Carroll, Cecil, Charles, Harford, Howard, Montgomery, Prince George's and St. Mary's as well as Baltimore City, the Eastern Shore and Washington, DC. The U.S. Green Building Council (USGBC) is committed to transforming the way our buildings are designed, constructed and operated through LEED — the top third-party verification system for sustainable structures around the world. Every day USGBC is helping advance spaces that are better for the environment and healthier for us to live, work and play in. Through our community network, continuous collaboration with industry experts, market research publications and LEED professional credentials, USGBC remains a key driving force in the green building sector. Our History More than 20 years ago, USGBC was established to help advance better buildings in our everyday lives. Rick Fedrizzi, David Gottfried and Mike Italiano established USGBC in 1993 with a mission to promote sustainability-focused practices in the building and construction industry. Representatives from around 60 firms and several nonprofits gathered that April in the American Institute of Architects’ boardroom for the council’s founding meeting. It was then that ideas were shared for an open and balanced coalition spanning the entire building industry and for a green building rating system, which would later become LEED. Since the rating system’s unveiling in 2000, it has become an international standard for environmentally sound buildings, certifying hundreds of thousands of square feet per day. About LEED No matter where a LEED project is, its certification is an achievement in green building that’s recognized around the world. LEED, or Leadership in Energy and Environmental Design, is a certification program for buildings and communities that guides their design, construction, operations and maintenance toward sustainability. It’s based on prerequisites and credits that a project meets to achieve a certification level: Certified, Silver, Gold and Platinum. Our staff strives to ensure LEED stays innovative, technically rigorous and market relevant. LEED regularly undergoes evaluations and other improvements, whether through clarification of specific credit’s language, an adaptation to an existing rating system, or a comprehensive update to an entire suite of rating systems. USGBC also has developed alternative compliance paths to LEED credits, providing more options to address unique circumstances and accommodate advancements in science and technology. There is so much to consider when starting on a Remodeling project. A NARI (National Association of the Remodeling Industry) Certified Remodeler gives you peace of mind that you are working with a licensed, insured, and experienced Remodeler who can help you create just the space you want to make your home your sanctuary. Our NARI Remodelers earn some of the most prestigious Awards and recognition each year, for projects of all sizes. Together with your NARI Remodeler you can, with complete confidence, know that you are working with a professional who understands the challenges and rewards of remodeling projects. The Interlocking Concrete Pavement Institute (ICPI), is the North American trade association representing the interlocking concrete paving industry. ICPI is the leader in development and dissemination of technical information and engages in a broad range of technical, marketing, educational, government relations and communications activities. Membership consists of concrete paver manufacturers, design professionals, installation contractors and suppliers. ICPI offers a variety of services to its members through its library of technical publications, online design idea galleries, paver installer certification programs and the industry's only dedicated magazine, Interlock Design. VISION As the voice of the segmental pavement industry, ICPI advances segmental pavement systems as the preferred choice for sustainable and environmentally friendly pavements in North America. MISSION To increase awareness, acceptance and use of segmental concrete pavement systems in North America. Design and Construction Resources Interlocking concrete pavements and permeable interlocking concrete pavements offer lower initial and life cycle costs and provide environmentally sustainable solutions. ICPI provides resources on design, construction, and maintenance that include technical bulletins, guide construction specifications, detail drawings, design manuals and software at <a rel="nofollow" target="_blank" href="http://www.icpi.org/design">http://www.icpi.org/design</a>. Contractor Education and Training ICPI provides education and resources that advances the segmental concrete pavement industry. Through ICPI’s Installer Development Program, installers demonstrate their commitment to advancement through education, industry guidelines and greater efficiency. Learn more at <a rel="nofollow" target="_blank" href="http://www.icpi.org/education">http://www.icpi.org/education</a>. Hardscape North America (HNA) HNA is THE Hardscape Show for Contractors and Distributors! Indoor/outdoor exhibits display state-of-the-art tools, products, services and the latest equipment for the hardscape industry. Seminars and certifications are led by some of the top industry speakers in North America. Learn more at <a rel="nofollow" target="_blank" href="http://www.hardscapena.com/hna/">http://www.hardscapena.com/hna/</a>. Consumer Inspiration and Guidance ICPI offers design ideas and education on important design considerations. We also provide free installation and planning guides, and educate homeowners in choosing an installer, asking the right questions, and what to expect during your segmental pavement project. 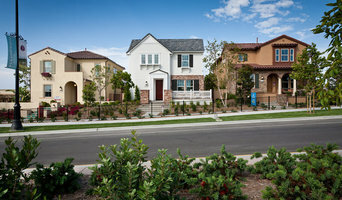 Learn more at <a rel="nofollow" target="_blank" href="http://www.icpi.org/homeowner">http://www.icpi.org/homeowner</a>. The National Association of Landscape Professionals represents an industry that employs nearly 1 million landscape, lawn care, irrigation and tree care professionals who create and maintain healthy green spaces for the benefit of families, communities and the environment. NALP offers education, networking, training and certification programs that increase the professionalism in the industry and inspire its members to excellence. Visit www.LandscapeProfessionals.org for more information about NALP. 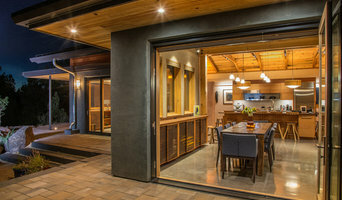 The photos shared here, all NALP Grand Award recipients, offer a small snapshot of the thousands of inspirational projects professionals perform annually that bring homeowners dreams to reality. Find a landscape professional for your needs at www.LoveYourLandscape.org. As part of the National Association of Home Builders (NAHB), the NAHB Building Systems Councils is the leading resource for the concrete, log and timber, modular and panelized home building industries. The NAHB Building Systems Councils has the long-term goals of raising awareness of systems-built construction, educating home buyers about alternatives to traditional construction methods, and speeding the transformation of systems-built processes from niche to normal. The Association of Pool & Spa Professionals (APSP) is the world’s oldest and largest association representing swimming pool, hot tub, and spa manufacturers, manufacturers’ agents, builders, distributors, installers, retailers, service technicians, and suppliers. It is dedicated to the growth and development of its members’ businesses and to promoting the enjoyment and safety of pools and spas. AIA Maryland is a state component of the American Institute of Architects. Incorporated in 1965, AIA Maryland is managed by a Board of Directors elected from each of the three Maryland chapters – Baltimore, Chesapeake Bay and Potomac Valley. With over 1,600 members, AIA Maryland represents architects, as well as interns, students and allied professionals. Its mission is to serve its members, advance their value, and improve the quality of the built environment and the practice of architecture in Maryland through legislative and governmental action. We promote architects and architecture through political activism, legislative activities and grassroots efforts and we guard the interests of architects with regard to regulations and law. The National Association of the Remodeling Industry (NARI) is the only national association focused exclusively on remodeling. Our purpose as an association is to help the remodeling industry thrive in the Mid-Maryland area, to establish and maintain a firm commitment to developing and sustaining programs that expand and unite the remodeling industry; to ensure the industry's growth and security; to encourage ethical conduct, sound business practices and professionalism in the remodeling industry; and to present NARI as the recognized authority in the remodeling industry. Members of NARI are full service contractors, design-build firms, manufacturers, suppliers, distributors, subcontractors, lenders and other related professionals who work in the remodeling field. NARI is committed to educating both trade professionals and remodeling-ready homeowners. NARI does this by reaching out to a diverse audience in a variety of formats including education, training, publications and programs. The Mid-Maryland Chapter of NARI is a not-for-profit 501 (c) (6) trade association committed exclusively to enhancing the professionalism of the remodeling industry and providing ethical and quality service to the region's homeowners. The Council for Interior Design Qualification, or CIDQ, is the global leader in establishing standards of competence for interior design/interior architecture professionals. CIDQ protects public health, safety and welfare by identifying interior designers who have the knowledge and experience to create interior spaces that are not just aesthetically pleasing, but also functional and safe. An independent, nonprofit organization of state and provincial credentialing bodies, CIDQ has issued professional certificates to competent interior design professionals since 1974. Interior designers who meet the eligibility requirements for education and experience and pass the rigorous NCIDQ Exam are assigned a unique NCIDQ Certification number that attests to their qualifications for employers, state regulators and the general public.